Teaching all styles of yoga is a bit like cooking – everyone brings their own unique flair to their creation. But honing the craft takes training and skill, and this is particularly true with restorative yoga. Nothing but exact propping will create the complete comfort that the nervous system requires for deep rest. 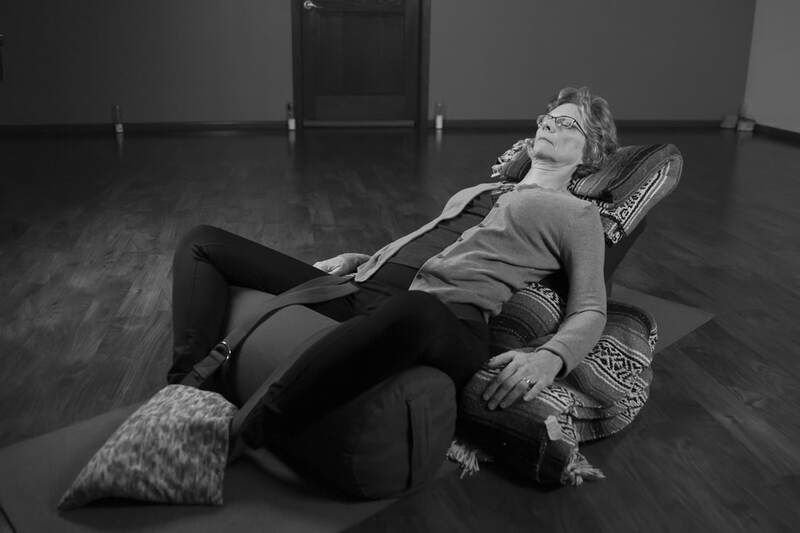 In Sacred Calm Restorative Yoga Teacher Training, trainees learn the science of relaxation from both the anatomical and energetic perspectives. The first task is to assist all students in being propped so that every joint is nicely nuzzled by a blanket, bolster, or block. The second job is to create an atmosphere of dreamy abandon, allowing the nervous system to down-regulate to its parasympathetic state, or the “Rest and Digest” mode. 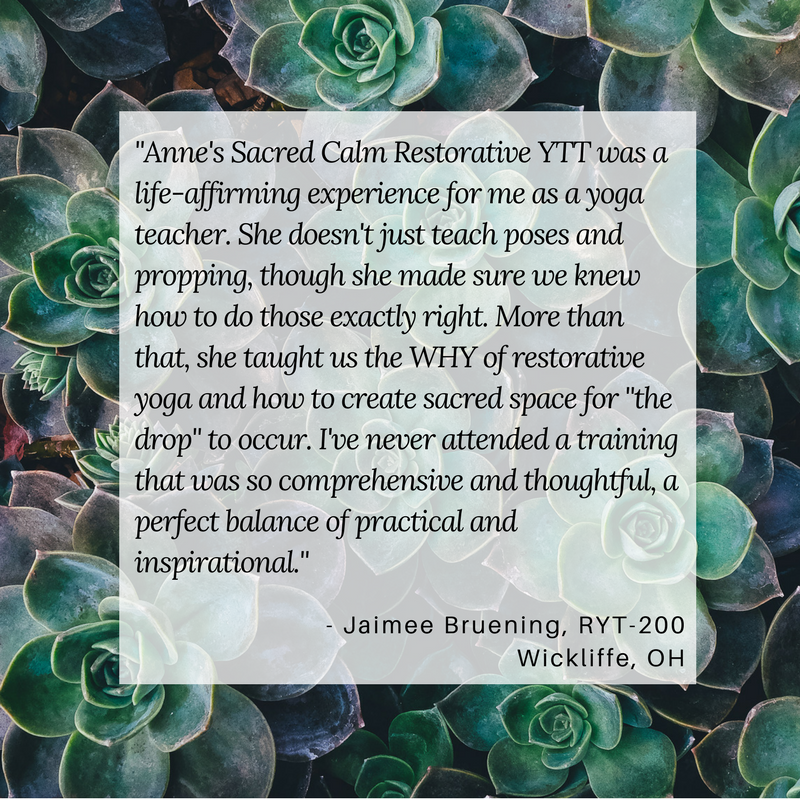 ​Learning the subtleties of teaching Restorative Yoga provides teachers with an important tool to assist students in reducing their chronic stress – which just about everyone struggles with in our hyper-adrenalized society. Restorative yoga is also a tremendous practice for students with chronic illness, allowing their immune systems to come to the forefront and make needed repairs. As part of this training, teachers will instruct a restorative class between sessions and photograph their students in poses. They then submit the photographs for review and instruction. For more information on attending or hosting a training, contact Anne. Please pre-register here. This training offers 14 contact hours and 4 non-contact hours. Must attend both sessions and complete homework assignments for certification.